-Stuart Middleton sets record as youngest Rolex 24 podium finisher, breaking previous record set by his Whelen Engineering teammate Felipe Nasr. 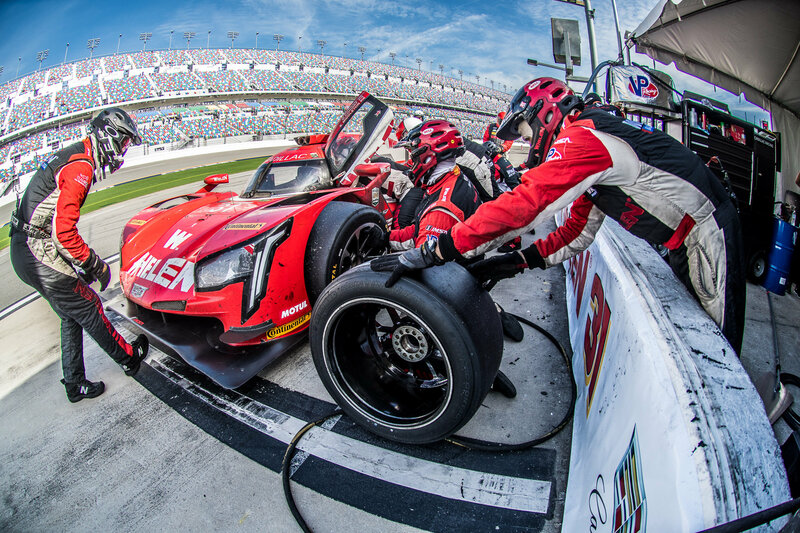 Daytona Beach, Fla. (28 January 2018) Whelen Engineering Racing delivered a strong performance in a record-breaking race as the team took a second place finish in the Rolex 24 At Daytona on Sunday. 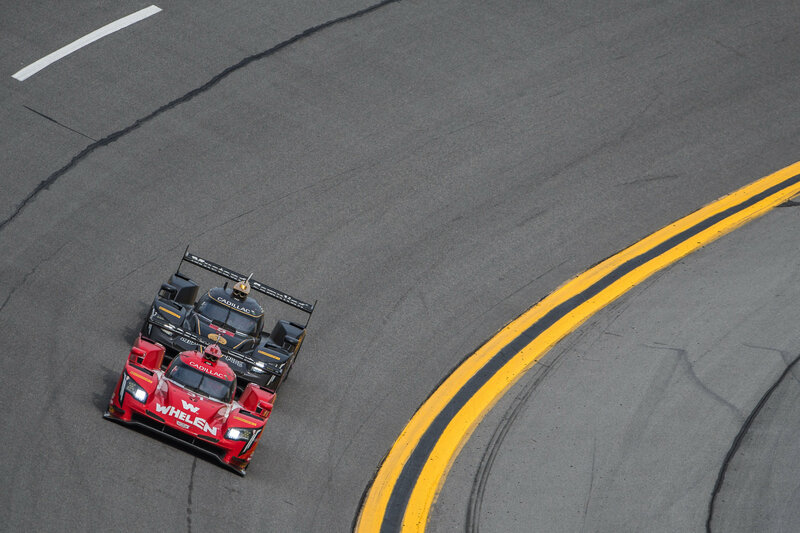 The race result marked a strong start to the 2018 IMSA WeatherTech SportsCar Championship for the 2016 IMSA WeatherTech SportsCar Championship-winning squad as full-season Whelen Engineering pilots Felipe Nasr and Eric Curran were joined by Mike Conway and Sunoco Whelen Challenge winner Stuart Middleton in the No. 31 Whelen Engineering Cadillac DPi-V.R entry. The foursome was a front-running threat all day and night of the record-setting race, which saw the race winning No. 5 Action Express entry take the victory by just over one minute after covering 808 laps, or some 2,876 miles. After dueling for the lead with the No. 5 late in the race, the No. 31 Whelen Engineering entry encountered high running temperatures as the drivers adjusted their pace to ensure that the Prototype would go the distance. Standout drives by all four on the roster saw the fabled white and red Whelen machine a regular fixture out front as the team delivered faultless pit stops through the unrelenting race, which was only slowed four times for caution periods. Middleton drove the car across the finish line to close out the day, setting a new record as the youngest to take the Rolex 24 podium at just 18 years old, besting the mark set by Nasr in 2012. Whelen Engineering Racing will return to IMSA WeatherTech competition in just over a month’s time for the Sebring 12 Hours on March 17th. The 65th annual Sebring 12 Hour will take place on March 17th.